The most horrific sports related incident in UK history. 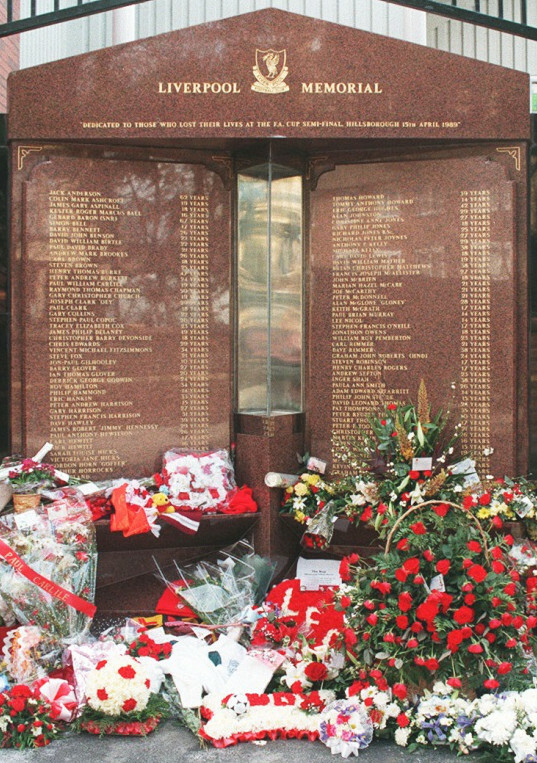 96 people died that day in a match between Nottingham Forest and Liverpool in a FA Cup semi at Hillsborough Stadium, home of Sheffield Wednesday FC. Even if you don't have the time to read the full report, please take the time to read the summary findings. On a night, 11 years after the US faced one of the most horrific acts of terrorism it has ever known, the USMNT players were in a somber mood. The crowd was electric. And the US saw a handful of infrequently used players start. With a nod to start in the middle, Graham Zusi found the woodwork, and put several shots on frame only to be denied by the Jamaican keeper time and again. In all, the US hit the woodwork 3 times and going into the 2nd half, Jamaica had to be feeling lucky. But just like an old man talking to an empty chair, you knew it was all over. On a set piece, of all things, Herculez Gomez found the net. It wasn't the prettiest shot, nor the best, but it was one that the Jamaican keeper didn't keep out. And the US won. 1-0 the final score. For those that had been wondering if this was some sort of make or break for Klinsi, it wasn't. The final straw would have been if we didn't qualify. Some of our players are getting older (Landycakes, Howard, Bocanegra, etc). Some of our players are in their stride (Dempsey, Gomez), some will never see the WC (Jones). So it was a given that we have to blood some of the kids now, for better or worse. Next up for the US (they are in a 3 way tie in their group with Guatemala and Jamaica but lead Jamaica on goal dif. and are tied with Guatemala), is ironically, Guatemala. Top two teams in each group move onto the hex where the top 3 finishes automatically qualify while the 4th of 6 plays a play-in qualifier. So far, Mexico is the only team to qualify for the hex, while the rest wait till the final match of the group stage on Oct. 12.